Rembrandt is one of the greatest painters that has ever lived, and he was born in Leiden. Known for his ingenious use of light and shadow, and his life like portraits. Rembrandt was born as a simple millers son. But it quickly showed that he was not made for a life as a miller. He showed little interest in the academic arts. All he wanted to do was paint. 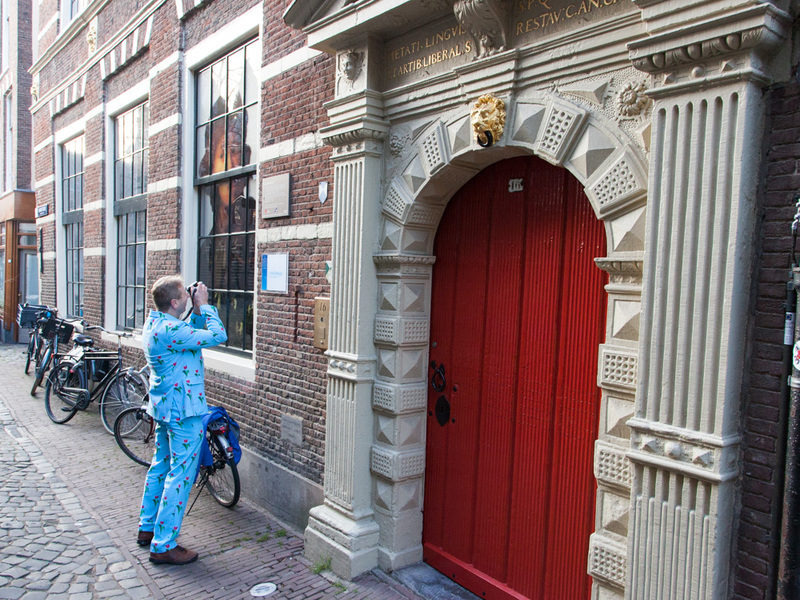 There are many attractions and stories left from Rembrandt's 17th century Leiden. Walk in his footsteps and visit the place where he was born, his Latin school, his church, and much more! Coming to the Netherlands? Let us guide you around Rembrandt's 17th century Leiden. 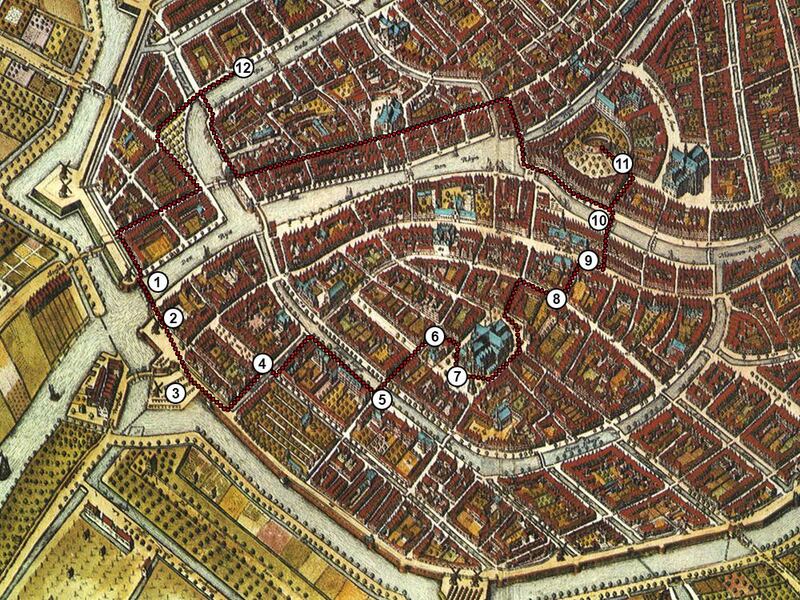 Map of Leiden made by Dutch cartographer Joan Blaeu in 1649. Follow this route along all the Rembrandt related sights. 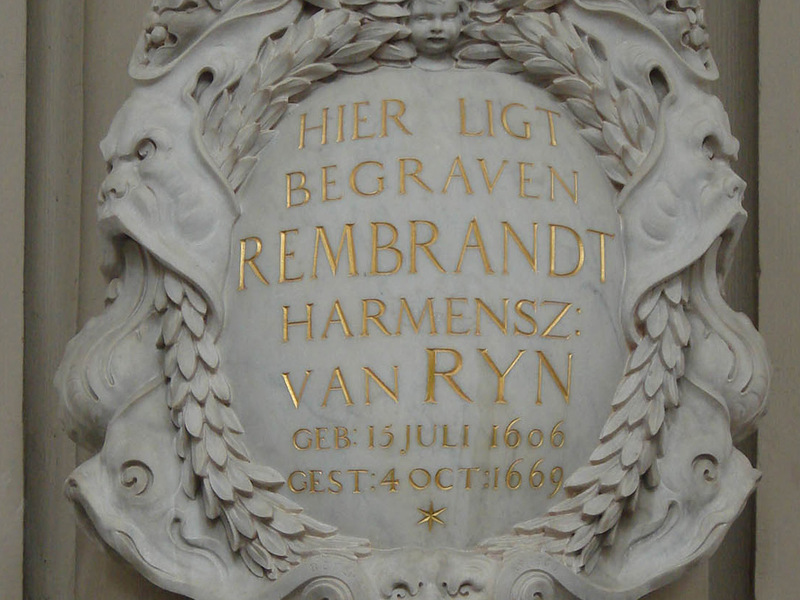 Rembrandt Harmenszoon van Rijn was born in 1606. He was the 9th child and the son of a miller. His family was hard working. Although being a miller in the 17th century is being seen as a middle class profession, the Van Rijn family definitely wasn't poor. His father owned multiple house lots, and he was proclaimed Lord of the Pelican district, the district where Rembrandt lived, multiple times. His father and his eldest brother worked in the windmill. The mill was used to grind malt, for the production beer. While standing on the Rembrandt Bridge (1), the river Rhine flows beneath you. This is the river that Rembrandt owns his last name to, since the Dutch name for Rhine is Rijn. From this bridge you have a beautiful view. On the north side of it you see a windmill. This is a windmill similar to the windmill Rembrandt's parents used to own. Windmill de Put as it is called is a reconstruction from 1619 and used to grind grain in to flour. If you look towards the east, the streets are called Het Galgenwater of the Gallow Waters. It was here where criminals where hung to send a message to anyone entering the city, that criminal activity was not tolerated. Walking towards the street to the south, you will enter the Weddesteeg (2). It was here that Rembrandt was born. The original house is gone, but the place is still recognizable by a gable stone. Unlike many other Dutch windmills, the windmill of Rembrandt's father was small and not suited for living. It was just a work place. If you walk west along the waters. You can see the remains and foundations of the city wall that once surrounded Leiden. Walking further west, you will find yourself in Rembrandtpark. It was roughly around here where Windmill de Rijn, the windmill owned by Rembrandts father used to stand (3). Like many of the windmills, this one was build on top of the city wall, to catch more wind. Behind this gate (4) were the city's target practice grounds. Each Dutch city had a local militia called De Schutterij. Every healthy man between 18 and 60 years that could afford an armor, musket and hat, had to join the militia. Rembrandt's father was also part of the city militia. On the gate you can see the two keys, symbol to the city of Leiden. Symbols of muskets, bows and arrows. And on the top of the gate stands Saint George, slaying the dragon. One of Rembrandt's most famous paintings, the Night Watch, depicts a similar militia, but from Amsterdam. It shows the Company of Frans Banning Cocq and Willem van Ruytenburch. The painting was a commission and part of a collection of six militia paintings. In 1715 the painting was moved to the Amsterdam Town Hall. Because it did not fit in the intended place, they trimmed off a big piece of the painting! The painting can now be viewed in the Rijksmuseum in Amsterdam. Rembrandt's parents were planning to have Rembrandt schooled well. He went to the small Latin School where young children were prepared for an intellectual or church function. Across the street from the Latin School (6) is the Gravensteen, now a monument but during Rembrandt's days it was used as a prison and execution grounds. During his school years, he must have witnessed some of these confessions and maybe even executions. At the age of 14, he was enrolled in to the University of Leiden. It was a very young age, most people enroll around their 18th. It is unlikely that he attended any of the classes, since it is known that he did not even officially graduate from his Latin School. However being enrolled in the university had some advantages. Such as tax-free beer and an exemption from guards duty. The latter was probably Rembrandt's primary reason for enrolling. Rapenburg canal in Leiden. In the background, the university tower. The university where Rembrandt was once enrolled. The University of Leiden (5) is the oldest university of the Netherlands. 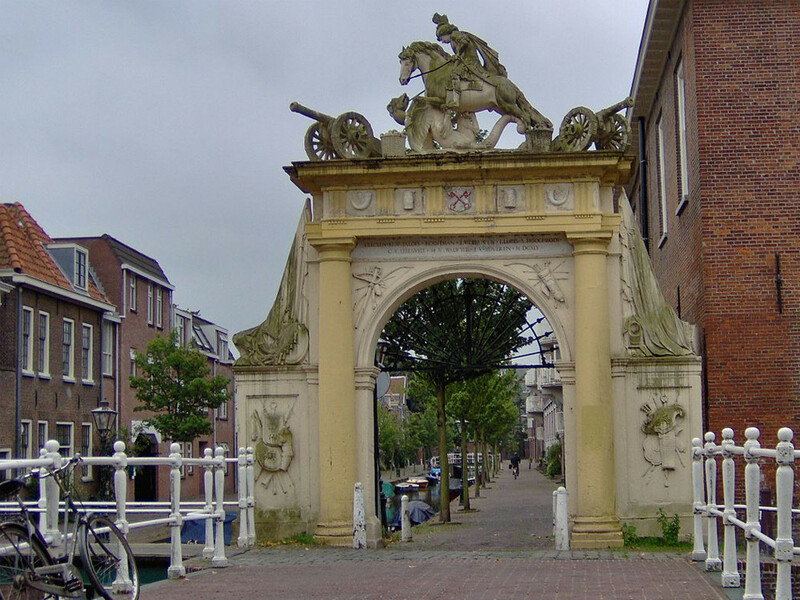 It was gifted to the city of Leiden by William the Silent after their heroic defense during the Spanish Siege. You can see the University tower along the Rapenburg canal. This is the canal where all the wealthy people used to live. The Botanic Gardens were part of the university. This is where Carolus Clusius experimented on Tulips, originally coming from the middle east. Saint Peter is the patron saint of Leiden. His church (7) stands tall in the city center. This is the church where Rembrandt's parents got married and are buried. Rembrandt was part of a religious family, that often went to the church. St. Peters Church in Leiden. The church that Rembrandt attended during his youth. Now, a quiet place of contemplation and silence, but back then it was very lively. The church connected two important parts of the city, and was used to get from A to B. People would chatter, children would play, and according to records, there were many stray dogs. In the church, another Dutch painter and great master is buried. He lived during the same period as Rembrandt. His name is Jan Steen. Famous for his paintings of lively, lustful, and chaotic scenes, such as The Feast of Saint Nicholas. During Rembrandt's youth, a group of English puritans came to Leiden, known as the Pilgrim Fathers. They stayed in Leiden from 1609 to 1620. They worked and lived around the St. Peters Church. Learn more about the Pilgrim Fathers on our Pilgrim Fathers in Leiden page. Home of Jan Steen, next to the Workplace of Jacob van Swanenburgh, where Rembrandt studied. When Rembrandt was 14, he started an apprenticeship with the painter Jacob van Swanenburg. Van Swanenburgh was renowned because he had studied the art of painting in Italy. During two years, Rembrandt studied under Van Swanenburgh at his house (8) at Langebrug 89, just behind the St. Peters Church. Some years later, Jan Steen lived almost next door to Van Swanenburgh. There is a gable stone that tells where Jan Steen worked and lived. Just before Rembrandt was born, a great new town hall (9) was designed. Sadly, a big fire destroyed the town hall during the strong winter of 1929, the water was frozen, so the firemen could not extinguish it in time. However the facade from the days of Rembrandt was restored. The beautiful stairs are a sight to see. Many newly weds have their picture taken there. In the street behind the city hall, you find the Boter and Vismarkt (10) or butter and fish market. When you visit Leiden on a Wednesday or Saturday, you can see that the street is still in use as a marketplace today. The most recognizable attraction of this street is the bridge. The Koornbrug, is a 17th century bridge that was used to trade grain (Koren or Koorn). It was build just after Rembrandt left Leiden to live in Amsterdam. 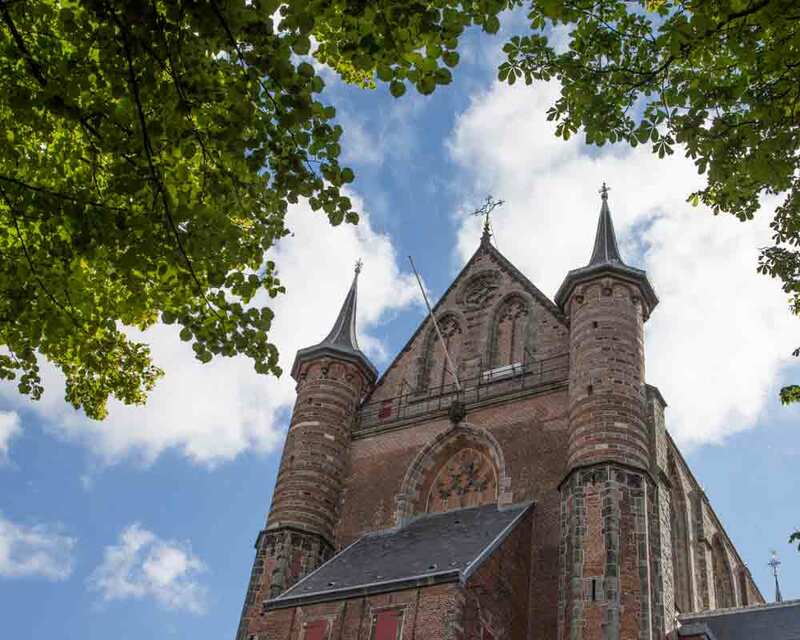 For a magnificent view of the city, head to the oldest part of Leiden, The Burcht (11). 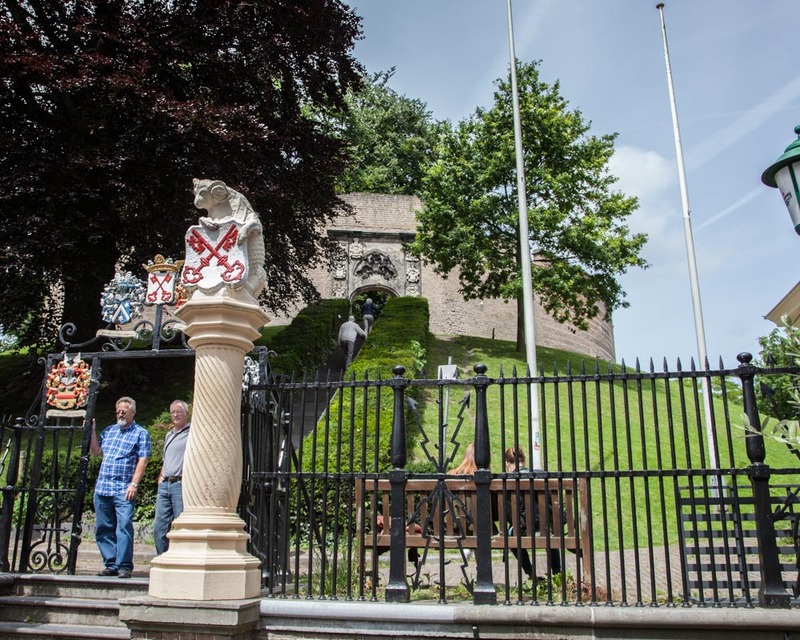 This citadel was the first building of Leiden. The hill with a defensive building on top is mentioned in a document from the 10th century. The Burcht has been used for defense multiple times. During the 13th century, the Burcht lost its defensive use, because there were to many buildings surrounding it. Since then it has been used as a public park, and it still is. Rembrandt's Spectacles Salesman. Painted in Leiden when he was just 17 years old. 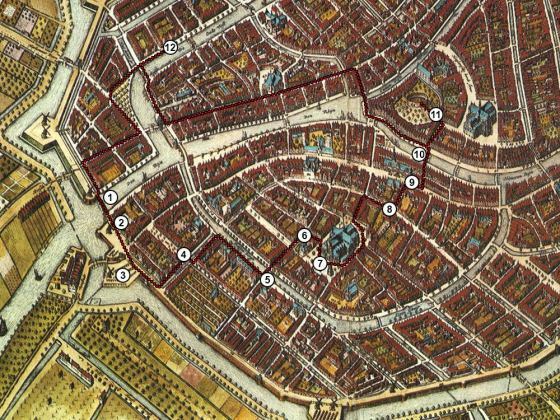 Leiden was a wealthy city. One of the reasons for the wealth was the cloth trade. In the Lakenhal (12) (Cloth Hall), the cloth was checked by the guild masters. When the cloth was approved, it would get a little lead pendant with the mark of the city. In 1829, the hall lost its function as guild hall and was turned into a hospital. Nowadays it is the city museum. The museum displays the history of Leiden. And it is a perfect visit to finish your Rembrandt tour because it has one of his earliest works. The top piece of the Lakenhal is Rembrandt's painting, The Spectacles Salesman. This masterpiece is one of the earliest of Rembrandt's work, painted when he was only 17. It was painted when Rembrandt was the apprentice of Jacob van Swanenburgh, in Leiden. Rembrandt's last self portrait. Painted in 1669, the year he passed away. After Rembrandt left Leiden. He gathered fame and fortune. Especially after painting the famous Anatomy of Dr. Nicolaes Tulp, many wealthy people from Amsterdam wanted to have their portrait painted by Rembrandt. Rembrandt married Saskia van Uylenburg. Their first three children passed away shortly after birth, but their fourth child was a strong baby boy named Titus. Sadly Saskia van Uylenburg passed away shortly after their boy Titus was born. Presumably due to tuberculosis. Rembrandt was unable to take care of his child alone, so he asked the nurse maid Geertje Dircx to help take care of Titus. 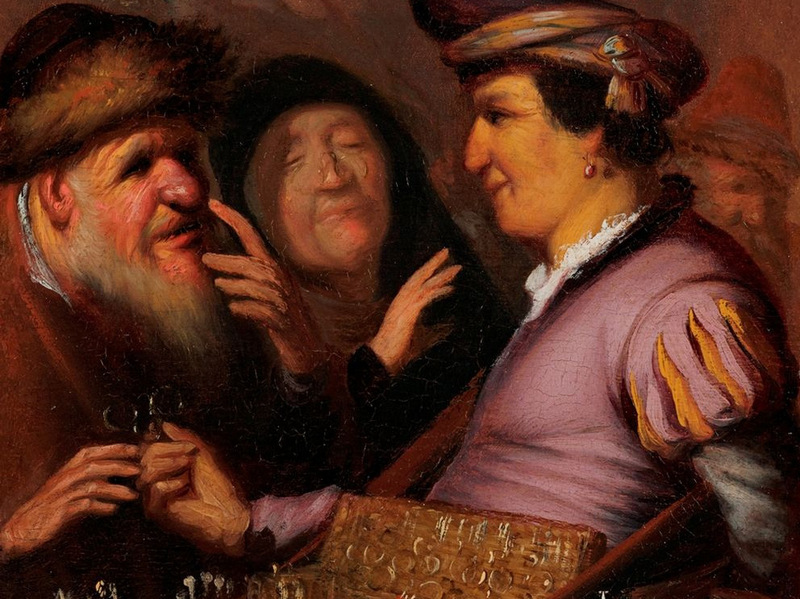 Geertje and Rembrandt had a short affair, but it ended in court. The judge sentenced Greetje to be locked up in the spinning house, a prison where women span string. Meanwhile, Hendrikje Stoffels became nursemaid of Titus. In 1654 she had to stand before the church council because she was living in harlotry with Rembrandt. A memorial stone at the Westerkerk in Amsterdam. The place where Rembrandt was buried. Rembrandt was in dept. He spend too much money on exotic objects such as stuffed animals, foreign weapons, Roman sculptures and Venetian glass. He also had many assistants and students. Rembrandt often signed his students works with his signature so they could be sold as paintings by his own hands. 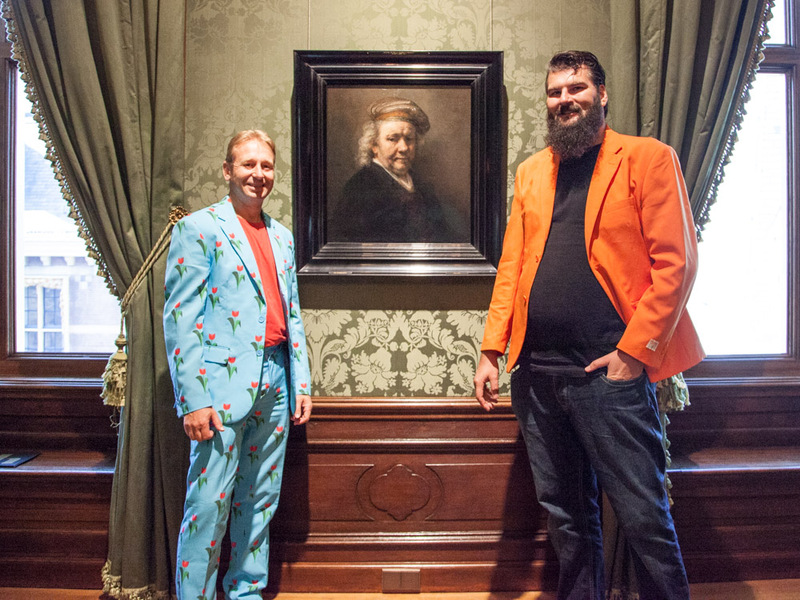 Hendrickje and Titus became Rembrandt's manager and tried to get Rembrandt out of dept. Even though Rembrandt made a lot of paintings during this period, it was not enough. They had to sell their house and move to a smaller building in Amsterdam. In 1654, Hendrickje and Rembrandt had a daughter called Cornelia. It was an unlawful child since Rembrandt was not married to Hendrickje. A few years later, in 1663, Hendrickje Stoffels died of the plague. Once again leaving Rembrandt alone with his children. In 1668, Titus passed away of the plague. He was only 27 years old. Rembrandt van Rijn passed away shortly after that, in 1669. Rembrandt was bankrupt and his relatives could not afford a private grave for him. Rembrandt was was buried in an unmarked grave in the Westerkerk in Amsterdam. Now, a memorial stone is placed in the Westerkerk, since his unmarked grave can not be identified. 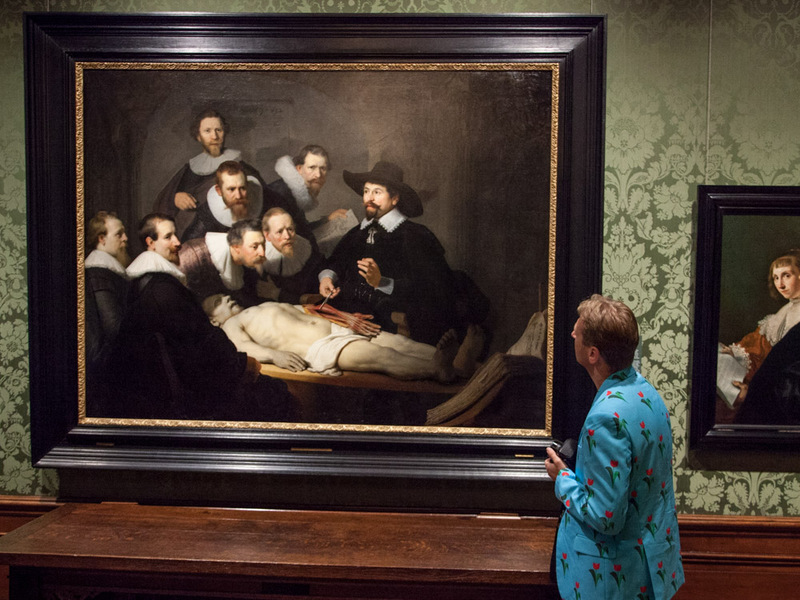 Rembrandt's The Anatomy Lesson of Dr. Nicolaes Tulp at the Mauritshuis in The Hague. The Mauritshuis in The Hague has some of Rembrandt's most famous pieces, such as the Anatomy Lesson of Dr. Nicolaes Tulp, and Rembrandt's last self portrait, painted in the year he died. They also have paintings from the other great masters, such as the Girl with a Pearl Earring from Vermeer. 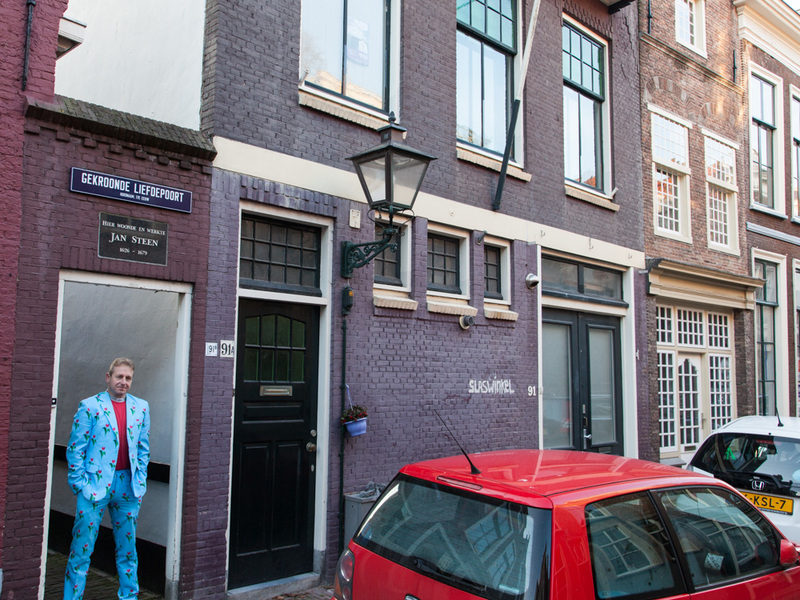 You can visit the house where Rembrandt lived and worked in Amsterdam. Het Rembrandthuis. 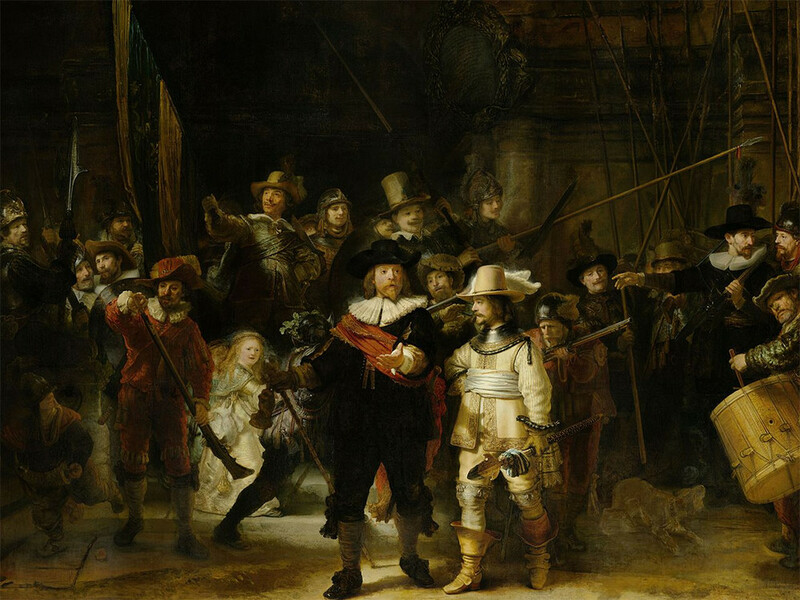 And last but not least, you have to check out the masterpiece, The Nightwatch at the Rijksmuseum in Amsterdam. 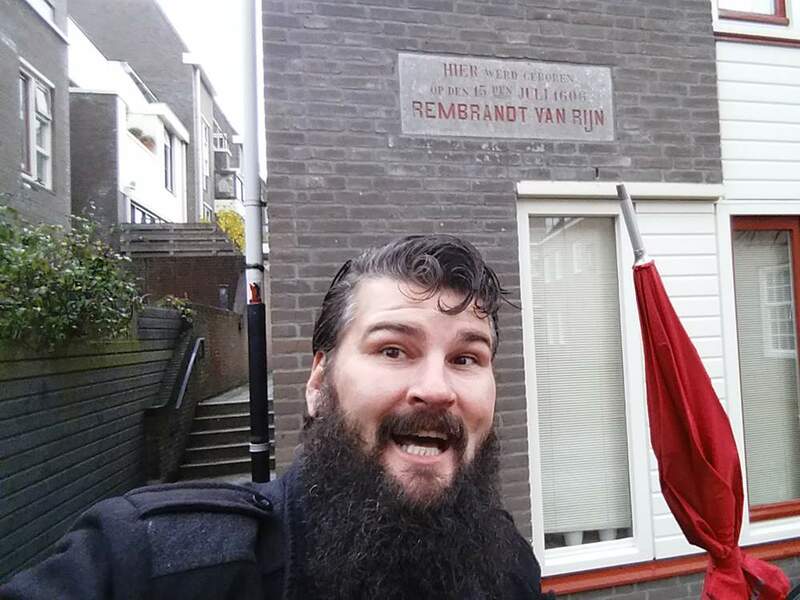 Got excited about Rembrandt? Let us guide you around! 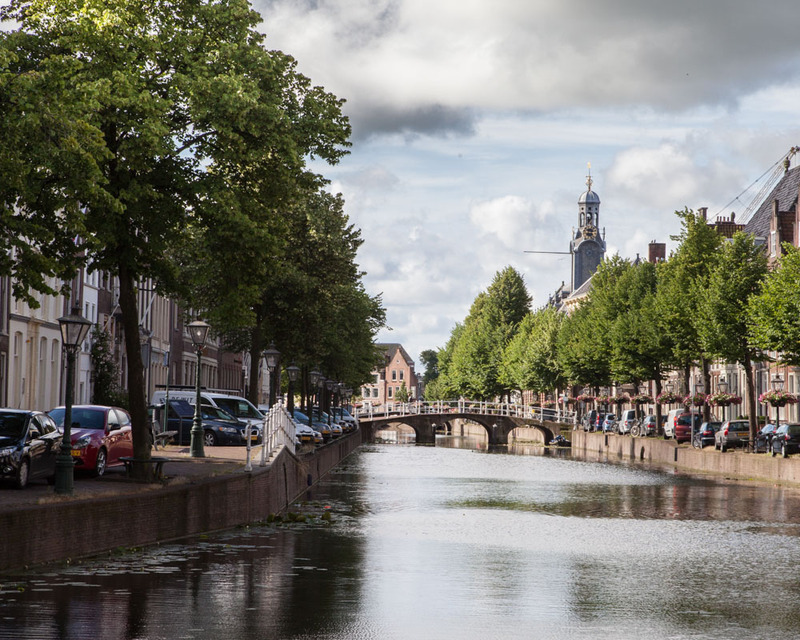 Leiden is one of our favorite cities, and we would love to give you a tour. Let us show you all the major sights that the city has to offer, but also the well hidden gems that only the locals know.